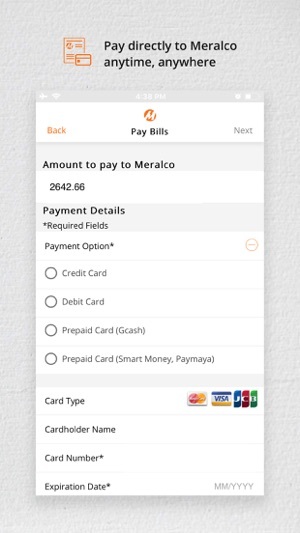 Meralco Mobile beta gives customers the power to access to their Meralco account 24/7. 1. Check out our new functionality – the Outage map. You can check the map to quickly find out if there’s an outage in your area. 2. You may now report outages for streetlights and social safety concerns. 4. You may now enable SMS notifications for payment reminders and outage advisories. Please include total time of usage for air-con since the appliance is usually set in timer. In that sense no need for real time calculation sometimes. Or my suggestion is to add a selection tab or choice set to numbers person in the house. 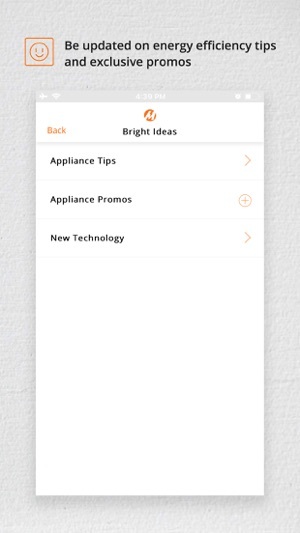 Then indicate their daily routine and time usage of their specific activity with appliances. 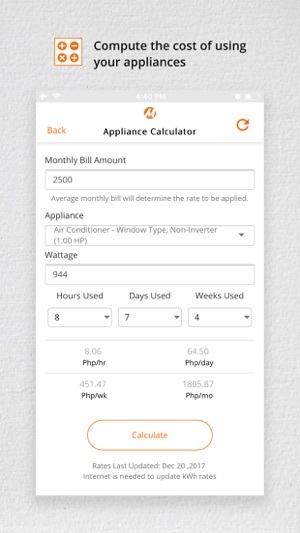 In that sense, a sample page for studio type/2bedroom or simply condo users may check their bills better. Trying to save the 🌏 by minimizing my ⚡️ consumption. During a downtime, the app said that I entered a wrong password. When I reset the password by entering my usual password, it said to not use a password that I’d used before. It would be better if you generate an error message for downtimes during downtimes, and generate error message for wrong password if it’s really triggered by a wrong pssword. Other than this instance, no other problem. 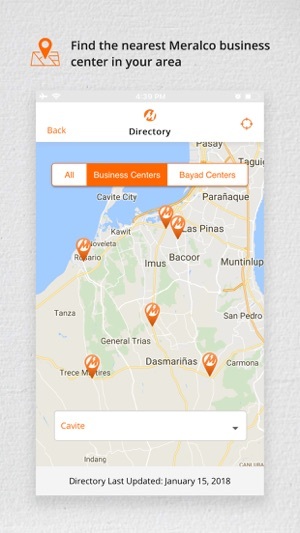 We released a new version of the Meralco Mobile App. Update your app now for you to enjoy its new features. 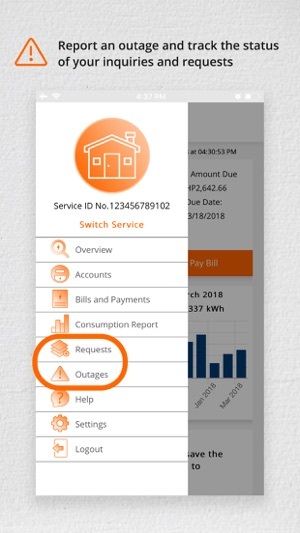 If the issue persists, please send us a PM on our Official Meralco Facebook page or email us at customercare@meralco.com.ph. 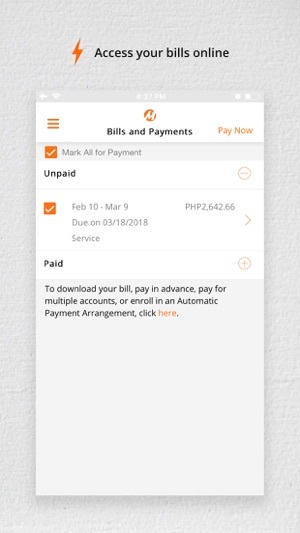 Happy to be able to view my bills and pay online using this app. No need to go through the hassle of lining up at payment centers. Online service application is also supported. I have enrolled to get helpful notifications and advisories, too. 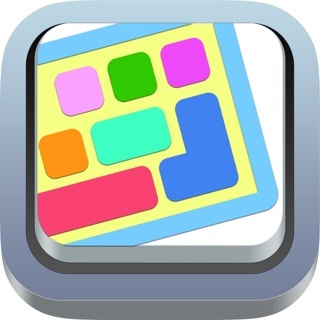 App is very responsive and fast. Cool! Thank you for the feedback, LaniArtist! 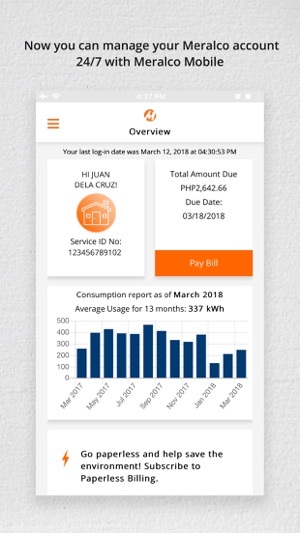 With the new Meralco Mobile App, you can easily check your energy consumption with our Appliance Calculator and Orange Tag giving more power to you. We're happy you find it helpful and convenient.